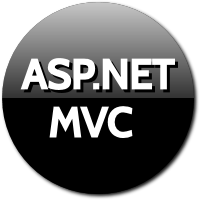 We commonly use HTML helpers and model binding while working with MVC Razor. MVC framework smartly renders HTML for different type of data like textbox for string or int and checkbox for bool proeprty, when EditorFor or EditorForModel helper is used to render the control. We often have requirement where we want something more like rendering dropdown for model's property of type enum. This is where editor template comes to rescue the situation. In this example, we will render a dropdown control for enum type model property. In the above view model we have created an enum named players. We have created one class which has one poperty of type players (i.e. enum). We have used DataAnnotation attribute UIHint to indicate MVC framework the editor template to pick while rendering control for the property. In the above example, we are asking MVC framework to use DropDownList cshtml file under Editor Template folder. We have used EditorForModel to render controls for model properties. In the above EditorTemplate we have rendered a dropdownlist control using the enum. When the view is rendered, the UIHint attribute indicates MVC framework to use EditorTemplate to render the control. The editor templates are created under EditorTemplates folder which is under Shared folder. Thus using EditorTemplates we can render any control for any type of property using EditorForModel or EditorFor HTML helper. The above textbox is rendered when UIHint attribute is not used. The below screenshot shows the result with using UIHint attribute. Thus the editor templates can be used with EditorFor or EditorForModel helpers. The editor templates can be used to render any type of control for model property. partcular row should be in editable mode. query2)In MVC4 how to bind dropdown list base on database(that contains column names Countryid and country name). 3)how to make visible true or false table tr and how to make visible true or false textbox or other controls or postback request.